One of the main advantages of installing a carport is the cost element. Carports are considerably less expensive than a garage and take a fraction of the time to install. 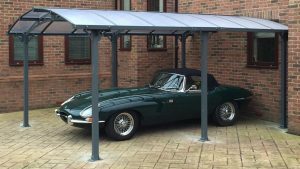 Our carports are extremely versatile in that you can choose the size and colour that suits your home then we simply manufacture a carport that fits your needs. From sun damage during the summer, falling leaves in the autumn, to the harsh weather during the colder months, our carports are built to withstand all the elements keeping your vehicle protected all year round. Our carports are perfect for those who are looking for a carport system that comes as a complete kit with everything you need to fit your carport quickly and easy. 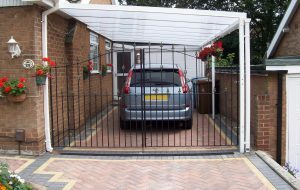 Made from sturdy materials these carports are built to last and can even withstand the harshest weather conditions maintaining their composure and protection all year round. 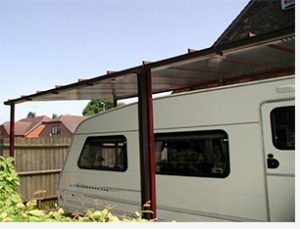 Our caravan carports provide the perfect shelter for your caravan or motorhome all year round. As all mobile homes are different shapes and sizes our caravan carports can be made to any height and projection you require. This multi-purpose crescent canopy can be used to cover a patio providing an outdoor seating area to entertain friends and family or doubles up as a stylish carport for protecting your car, van or bike. However you choose to showcase this beautiful canopy you or your vehicle will be sheltered from the sun and rain all year round. As well as protecting your vehicle a carport can also be a convenient storage area for those larger items you don’t want to store in your home – and don’t want to leave outside to get wet. The British weather is always unpredictable so by having your vehicle under a carport all year round you are prepared for those unexpected showers. 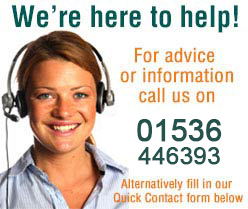 If you would like to know more about any of our carports please call us on 0345 241 7182.